Active Raised Bog covers over 40% of the high bog area of Raheenmore Bog SAC, but even though it is not the only place where life is active on the bog, it’s a good place to begin. Raheenmore Bog contains a relatively large wet central core of active raised bog. The hummocks are often colonised by the bog mosses S. imbricatum and S. fuscum. Pools are well-represented, and it is the pool edges and wet lawns that the Rhynchosporion habitat is best developed. These areas are typically dominated by the bog moss S. cuspidatum. The associated vascular plant flora is species-poor, with Bogbean (Menyanthes trifoliata), White Beak-sedge, Bog Asphodel, Common Cottongrass (Eriophorum angustifolium) and Great Sundew (Drosera anglica) being the main species. In places, lawns of Sphagnum magellanicum have infilled the pools. Overall, the cover of Sphagnum moss on the bog is very good. Degraded raised bog dominates the marginal areas of the uncut high bog where drainage effects are most pronounced. The vegetation of these degraded areas is still dominated by plant species typical of intact raised bog, though the vegetation tends to be less species-rich than in intact areas and the cover of Sphagnum is usually below 25%. The typical dominant species in degraded areas include Heather (Calluna vulgaris), Bog Asphodel, Cottongrasses (Eriophorum spp. ), Deergrass, Cross-leaved Heath (Erica tetralix) and Carnation Sedge. Of note at this site is the fact that, on the western side, mineral springs feeding the lagg zone still survive. A lagg zone is the transitional area at the edge of a bog, between the raised bog peat and the surrounding mineral soils. Conditions are often different here due to the fact that the water in the lagg zone is a mix of water coming from the bog as well as mineral-rich waters from outside. Lagg zones are uncommon features now, due to peat cutting and other land use activities which have removed or altered them significantly in most cases. The high bog is surrounded by cutover bog. Some sections of old cutover have narrow strips of Downy Birch (Betula pubescens) woodland developing. Much of the rest of the cutover is now wet grassland, rich in rushes (Juncus spp.) 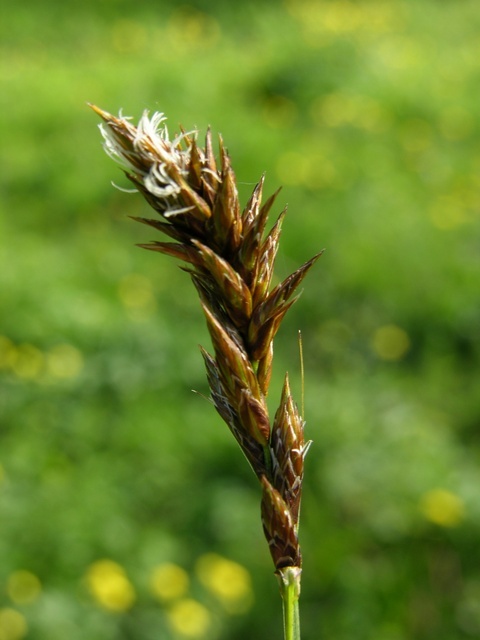 and Purple Moor-grass (Molinia caerulea). Common Valerian (Valeriana officinalis), Meadowsweet (Filipendula ulmaria) and Brown Sedge (Carex disticha) can also be found in fields at the bog margins. In 1959, the very rare Rannock-rush (Scheuchzeria palustris), found in its only Irish station in a nearby bog, was transplanted to Raheenmore Bog. However, it has not been recorded recently and may be now extinct. Raheenmore Bog was within the breeding territory of a pair of Merlin, a scarce species in Ireland and one that is listed on Annex I of the E.U. Birds Directive. We do not have reported sightings from 2012 onwards. The principal species breeding on site include Pheasant (Phasianus colchicus), Red Grouse (Lagopus lagopus hibernicus), Snipe (Gallinago gallinago), Lapwing (Vanellus vanellus), Curlew (Numenius arquata), Woodcock (Scolopax rusticola), Skylark (Alauda arvensis) and Meadow Pipit (Anthus pratensis). The Red Grouse is regarded by some authorities as being distinct from the British species and has become scarcer in Ireland in recent times. The shy birds feeds solely on Heather shoots and can only survive on larger sites, as a reduction in territory size decreases their breeding success. They need wet areas on raised bogs as grouse chicks need a diet of protein rich insects in the first few weeks of life. If drainage occurs, larval habitats for tese insects will be reduced. 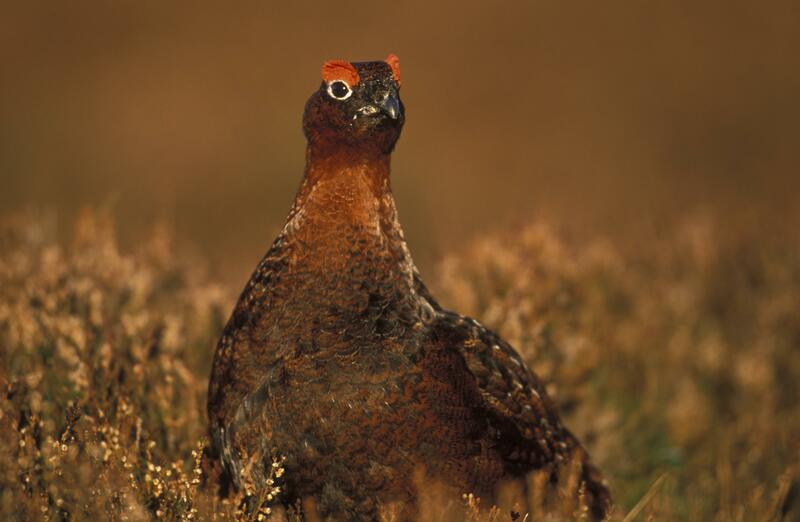 The Red Grouse is now a Red-listed species. Other birds to have frequented the site are Sparrowhawk (Accipiter nisus), Kestrel (Falco tinnunculus), Grey Heron (Ardea cinerea), Teal (Anas crecca) and Mallard (Anas platyrhynchos). 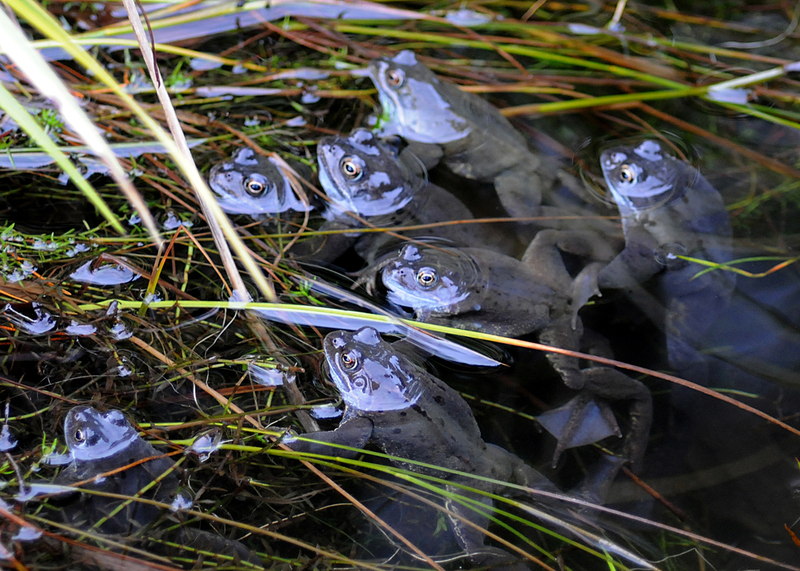 The Common Frog (Rana temporaria) occurs on site. This is listed as Internationally Important in the Irish Red Data Book. The Common Lizard (Lacerta vivipara) also occurs. The principal mammal species recorded include the Irish Hare (Lepus timidus hibernicus), Badger (Meles meles) and Fox (Vulpes vulpes). The Irish Hare is a race of the Arctic Hare and quite distinct from the Brown Hare (Lepus europaeus), which is not native to Ireland. 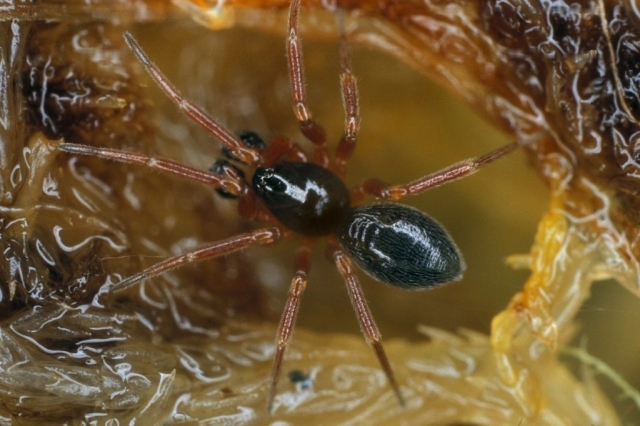 Both of these species are listed as Internationally Important in the Irish Red Data Book. 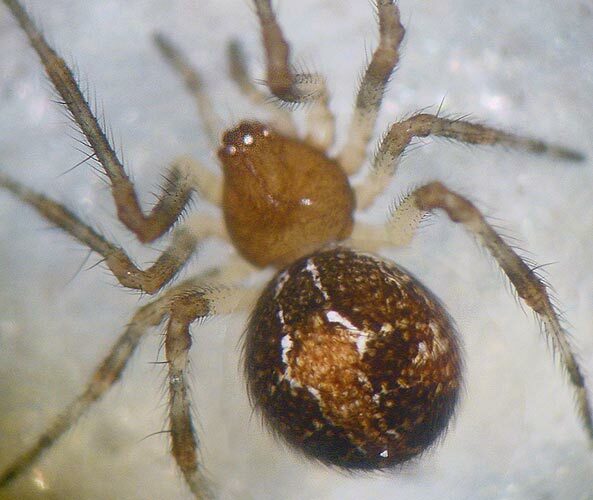 Myles Nolan undertook a series of surveys on Irish raised bogs between 2006 and 2015 which demonstrated the presence of a range of rare and uncommon spider species, some of which were not previously known from Ireland, and most of which are only known from raised bogs. This has a hummock/hollow system with frequent pools. It is the wettest and least disturbed bog complex, situated in the very central area of the bog. In general, bryophyte cover is high, with dwarf shrub and herb cover low. Here, the wettest Sphagnum magellanicum lawns are found, as indicated by the presence of S. cuspidatum and the liverwort Cladopodiella fluitans. 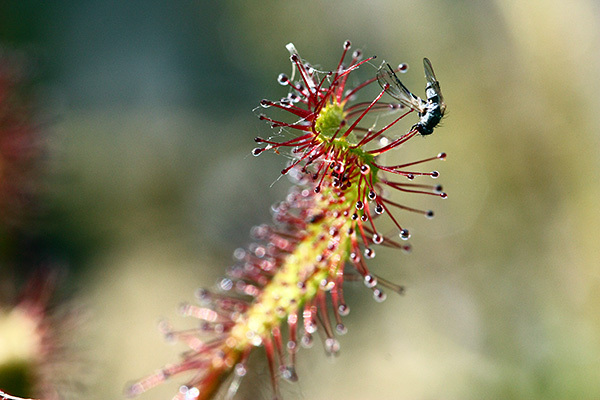 Bogbean (Menyanthes trifoliata) and Great Sundew can also be observed. In places, drier versions of these lawns are found with more Sphagnum capillifolium, Ling Heather and Hare’s-tail Cottongrass (Eriophorum vaginatum). Where drying-out only occurs for very short periods, permanent pools and wet hollows are found. Here, there is a high cover of Sphagnum cuspidatum and Cladopodiella fluitans with Common Cottongrass (Eriophorum angustifolium). Hummock communities dominated by Sphagnum capillifolium or S. imbricatum (relatively small) are present within this system. 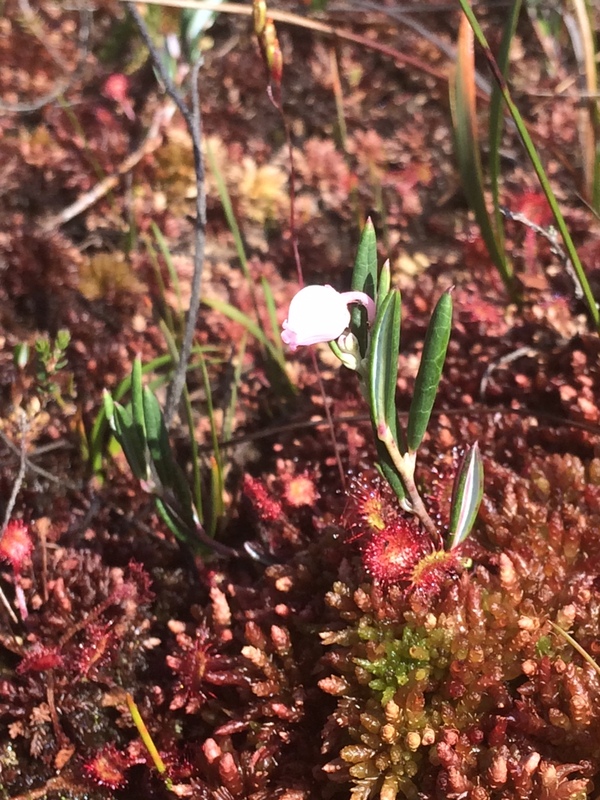 Bog Rosemary growing on Sphagnum Magellanicum with Sundew on the high bog at Raheenmore. In drier areas, some large Leucobryum glaucum moss hummocks occur. 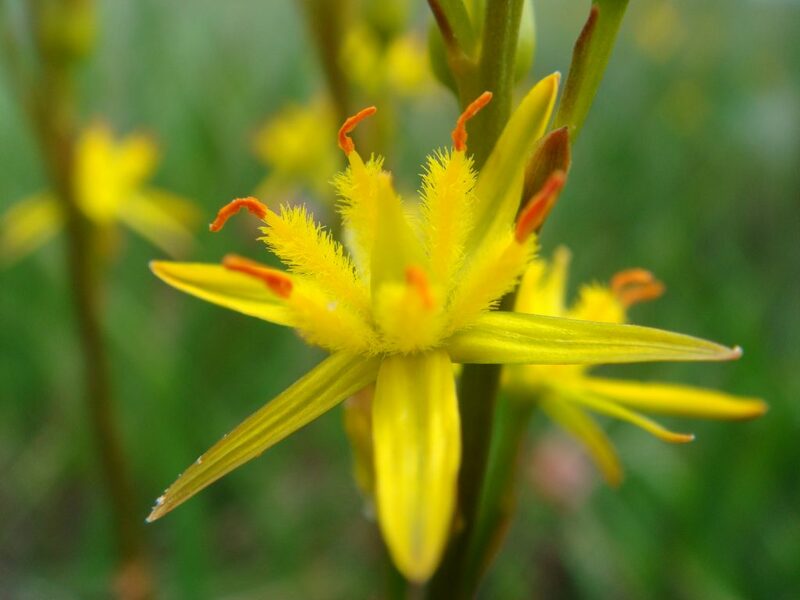 Elongated, damp hollows can also be found, dominated by Bog Asphodel. Around this central core of the bog is a sizeable, similar area but with more scattered pools. Here the pools are most likely becoming progressively infilled as the bog drains from the edges. Sphagnum magellanicum is common here. This occurs to the south-east and east of the central ecotope. The majority of the eastern part of this ecotope has been drained. The vegetation here is sometimes heath-like with an abundance of Ling and other heathers. Species which tend to colonise bare, disturbed peat e.g. Common Cottongrass and Campylopus introflexus can be found. Sphagnum capillifolium dominated hummocks also occur. In areas unaffected by drainage, heath type vegetation and species colonising bare peat are again found. 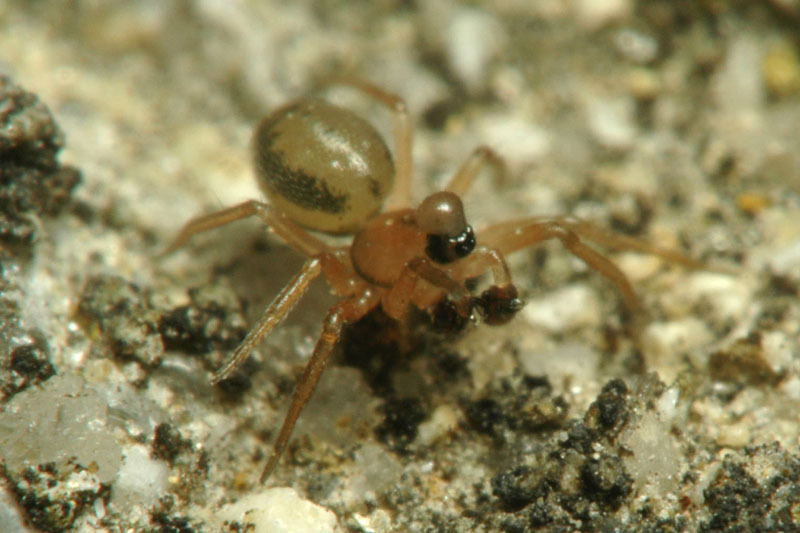 Indications of past burning is in evidence in the species seen (e.g. Campylopus paradoxus and Zygnemales). Permanent pools with a definite linear orientation, wet hollows, Sphagnum magellanicum lawns and elongated damp hollows dominated by Bog Asphodel, also occur. This ecotope can be sub-divided into sub-marginal, marginal and facebank complexes. At the edges of the high bog is sub-marginal vegetation. 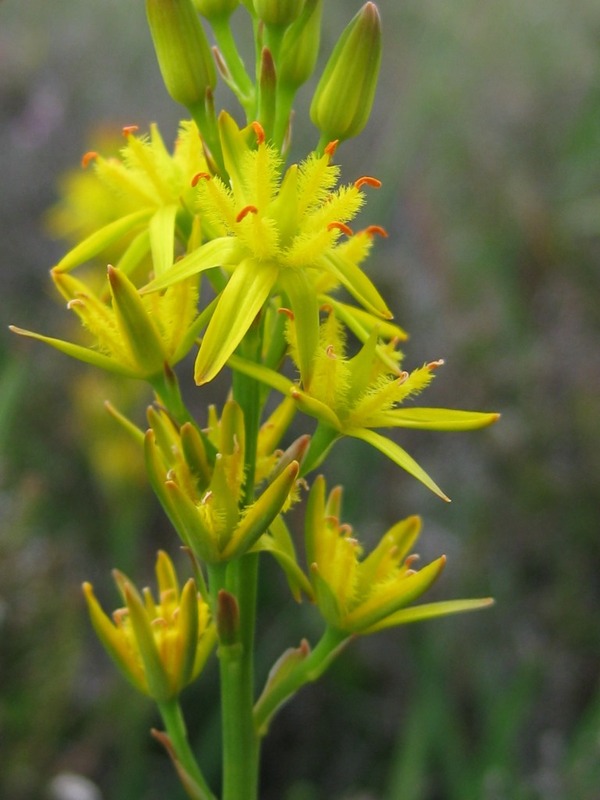 The majority of this is dominated by Bog Asphodel damp hollows with a relatively high shrub cover (c. 28%). These tend to be elongated features, as they are the focus points for surface water run-off. White Beak-sedge hollows are also common with low bryophyte and Sphagnum cover, high algal cover, and frequent Common Cottongrass and Bog Asphodel. 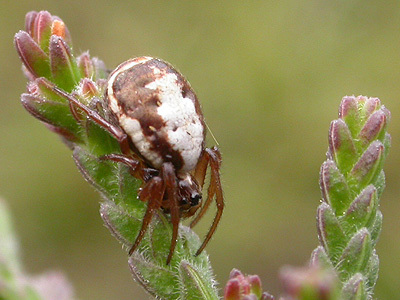 On the southern section of this ecotope, Ling Heather is common. Around the edges of almost all the bog (except at the north-east), the vegetation becomes more marginal. Deergrass often becomes dominant in very dry areas, amid the aforementioned Bog Asphodel hollow complexes. Deergrass at high abundance tends to indicate past disturbance, for example drainage or fire. Ling Heather also occurs with high cover values in these marginal areas. This ecotope also includes the facebanks of past peat cutting at the limit of the high bog. Here, Ling Heather is the dominant species, reaching cover values of up to 100%. The dwarf shrub and bryophyte (but few Sphagnum spp.) cover is high. Bog Asphodel, Deergrass, White Beak-sedge hollow, heath type, bare peat and fire damage communities are also found at the facebanks. Lagg is a Swedish term used to describe the zone surrounding a raised bog, where a mixing of ground water and precipitation takes place, so that a fen type vegetation can be supported. 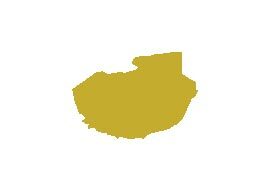 No intact areas exist in Ireland today, because of interference by humans (cutting and drainage). Areas of former lagg have been identified at Raheenmore, in the west-north-west and south of the site. The following species recorded (Kelly, 1993) indicate groundwater influence in a peatland situation: Branched Bur-reed (Sparganium erectum), Yellow Water lily (Nuphar lutea), Slender Tufted-sedge (Carex acuta), Ragged-robin (Lychnis flos-cuculi), Water Horsetail (Equisetum fluviatile), Marsh Ragwort (Senecio aquaticus) and Brown Sedge (Carex disticha). Marsh Arrowgrass (Triglochin palustris), Sharp-flowered Rush (Juncus acutiflorus) and Narrow-fruited Water-cress (Nasturtium microphyllum) also suggest lagg conditions. An area of wet, small, sedge grassland developed on the cutover and influenced by upwelling groundwater on the western edge of the bog. Areas of grass (Purple Moor-grass, Yorkshire Fog (Holcus lanatus)) dominated wet heath with strongly fluctuating water tables and some indication of mineralisation developed on cutover areas. Willow (Salix sp.) scrub and tall herb-rich grassland located on cutover areas with a high watertable and some groundwater influence. Areas of scrub, Bracken (Pteridium aquilinum) and improved grassland developed on the former lagg on dried out peat or mineral soils.